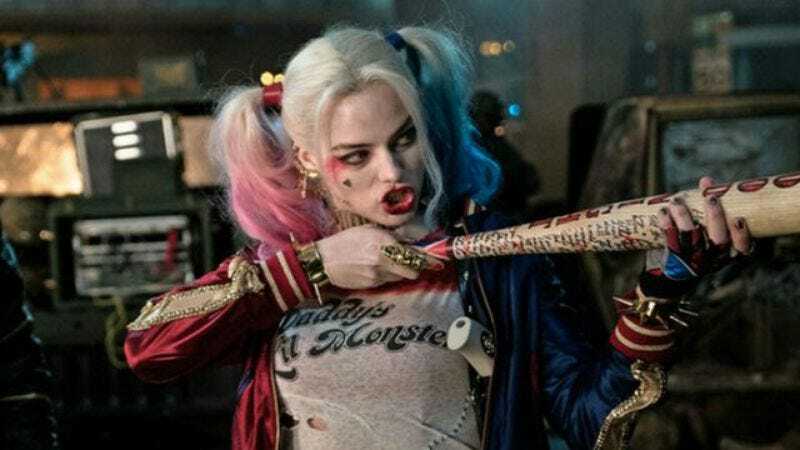 As Jared Leto is fond of pointing out in the most self-pitying way possible, most of his “best” stuff from David Ayer’s recently released Suicide Squad was excised from the final film. Apparently, his iteration of the Joker was supposed to have a lot more to do than pop up, be annoying in the direction of Harley Quinn, and then vanish. Why most of his part got cut remains an open question; maybe it’s due to the fact that the movie already runs over two hours as is, or maybe it’s because his character does not serve the narrative in any appreciable way. His co-star Margot Robbie, however, has a different theory. Basically, there was likely a lot of footage of Leto “going deep” as the Clown Prince of Gotham, especially since he refused to break character while on set and often barked out random Joker-esque orders to the actors hired to play his onscreen henchmen. You can watch the whole mimosa-soaked conversation between Robbie and Hayes below, or you just jump ahead to the eight-minute mark to hear Robbie explain her theory.